Hands, originally uploaded by amulya. 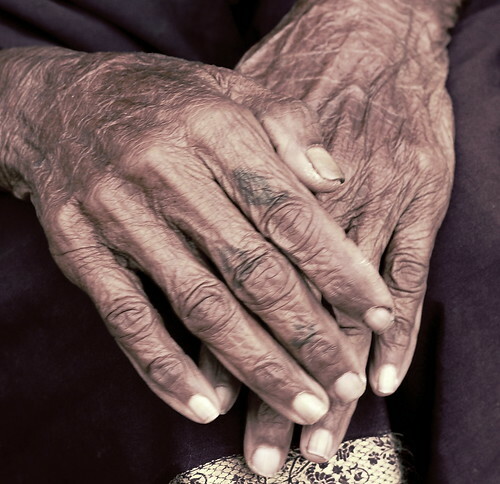 The hands have a story to tell. The wrinkles, the hint of a tattoo... the clean nails and all the lines on it.